EXECUTION: “Surrender” features the famous, iconic photo of a sailor, who just returned from war, kissing the first girl he could find in Times Square, NYC. 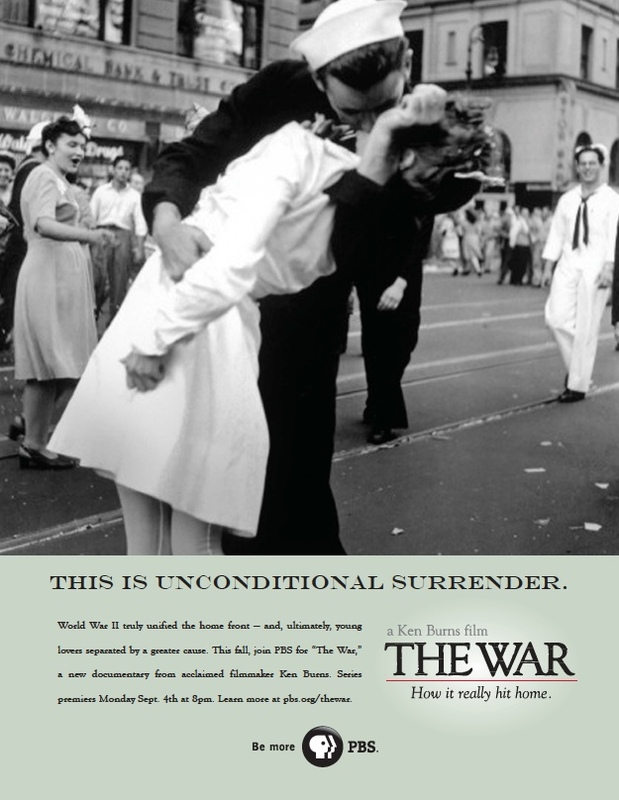 COPY: World War II truly unified the home front — and, ultimately, young lovers separated by a greater cause. This fall, join PBS for “The War,” a new documentary from acclaimed filmmaker Ken Burns. Series premiers Monday Sept. 4th at 8pm. Learn more at pbs.org/thewar.